In two weeks London 2012 Olympic games are starting and you don’t have tickets yet don’t worry. There are still available tickets though it can be tricky to buy some and there are thing you should know. As you should expect it was created a lot of scams and unauthorised websites which are “selling” tickets so everybody must be beware of such sites and buy tickets only from official web site www.tickets.london2012.com. 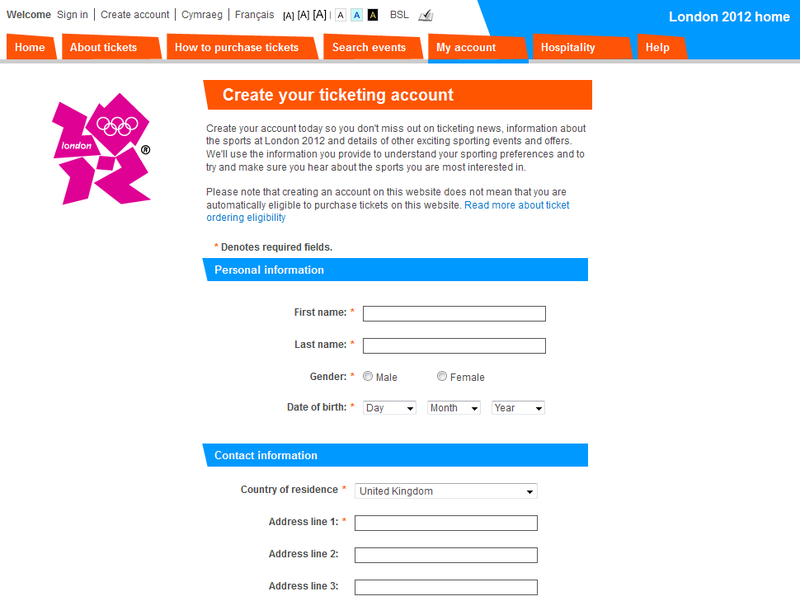 To buy tickets for the London 2012 Olympic Games from this site you must be a resident of the UK or a designated European country. They are releasing tickets on an almost daily basis. These include tickets for Basketball, Beach Volleyball, Sailing, Volleyball and Wrestling — Freestyle, as well as a number of suite tickets at the North Greenwich Arena, where you can watch Artistic Gymnastics, Trampoline Gymnastics and Basketball. 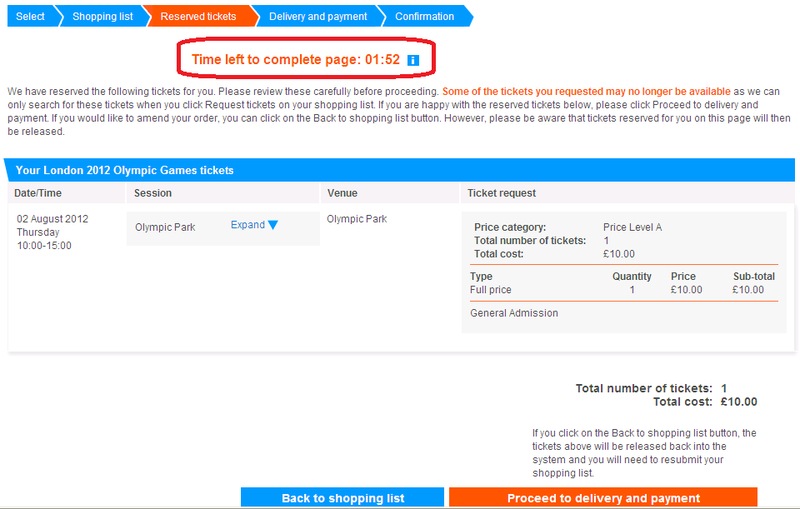 If you can’t see available tickets now, check in an hour or two or next day or you can just buy Olympic park entry ticket for £10 if you can’t find ticket to any specific event you want. But you must act very fast if you see tickets you want as for every step there is only 2 minutes limit so you must have handy all information you’ll need to buy tickets. I will show most of screen shots of all process and you will know what you should expect to see during ticket purchase process. 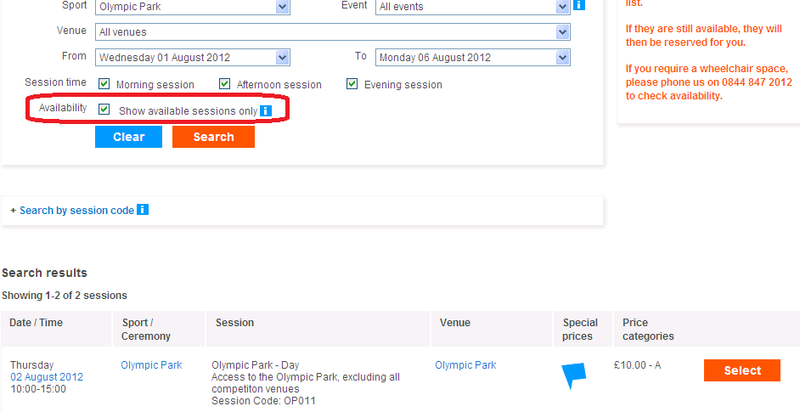 Make sure you selected “Availability” check box before search as otherwise you’ll get all events. Even those are already sold out. Important to know: by adding tickets to the shopping list it doesn’t mean you already own these tickets. Final tickets availability will be confirmed only in the next step by requesting tickets. So though you can add up to 4 session to your shopping list I would do everything 1 by 1 as the tickets for the first even you select can be gonna till you select all other events you want to go. Select delivery method and enter you Visa credit card details. Yes, only Visa credit cards are accepted on official tickets selling web site.